解説：8vo. xv, 289pp. 10 illus. Original cloth. Dust jacket. 書名：The Mithraeum at Caesaria Maritima. 著者：Robert Jehu Bull with Jane Derose Evans, Alexandra L. Ratzlaff, Andrew H. Bobeck & Robert S. Fritzius. 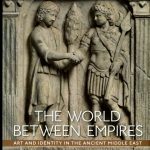 版元（出版社）：American Schools of Oriental Research. 解説：Small 4to. xiii, 100pp. 76 text-illus., maps & plans, some in color. Original boards. 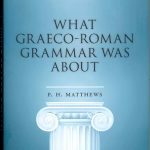 書名：What Graeco-Roman Grammar was About. 解説：8vo. xii, 243pp. Original cloth. Dust jacket. 書名：Animal-Shaped Vessels from the Ancient World. 解説：4to. 404pp. 400 illus., almost in color. 6 maps. Original cloth. 著者：Panos Valavanis. / Nicola Wardly tr. 解説：Small 4to. 136pp. 181 illus. almost in color. 1 plan. Original wr. 書名：The Mosaics of Thessaloniki Revisited. 著者：Antony Eastmond & Myrto Matzaki ed. 解説：Small 4to. 144pp. 67 text-illus. & plans, many in color. Original wr. 著者：Blair Fowlkes-Childs & Michael Seymour. 版元（出版社）：The Metropolitan Museum of Art, New York. 解説：4to. xxii, 310pp. 344 illus., many in color. Original cloth. Dust jacket. 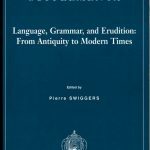 書名：Language, Grammar, and Erudition: From Antiquity to Modern Times. 解説：8vo. x, 422pp. Frontispiece. Text in English, French, German & Italian. Original wr. 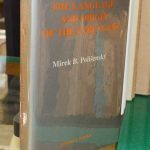 書名：The Language and Origin of the Etrunscans. 解説：8vo. 298pp. 2 plates. Original cloth, slightly worn. Dust jacket. 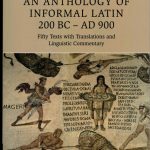 書名：An Anthology of Informal Latin 200 BC-AD 900. 解説：8vo. xi, 719pp. Original wr.